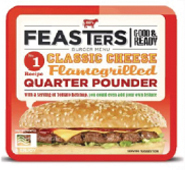 As a challenger brand, Feasters was being out-burgered and out-shouted by its competitors, and failing to communicate its core proposition that it was better product made with 100% meat. 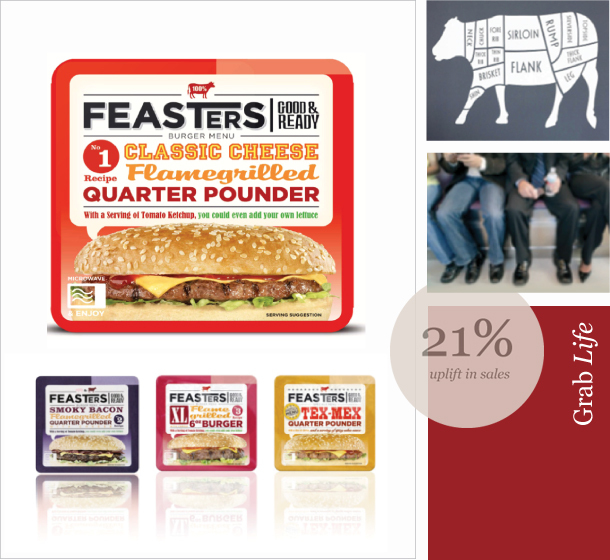 After exploring current gourmet fast food trends, Redshoe developed a new brand identity for Feasters a concept we called ‘grab life’. This was about creating a balance that delivered a meaty message about taste and convenience to young people and a clear quality message to Mum as the primary regular shopper. Without any additional marketing support, Feasters were able to serve up a 21% increase in sales.